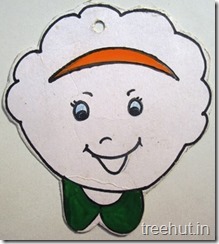 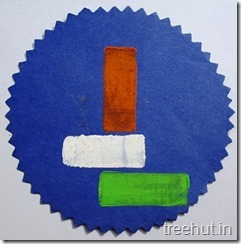 Indian Republic and Independence Day Badges Craft ideas for kids. 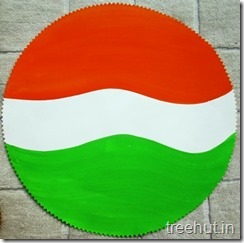 This tri colour badge is made with paint and brush. 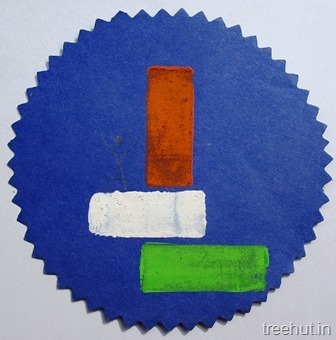 This cute badge is made with sketch pens.